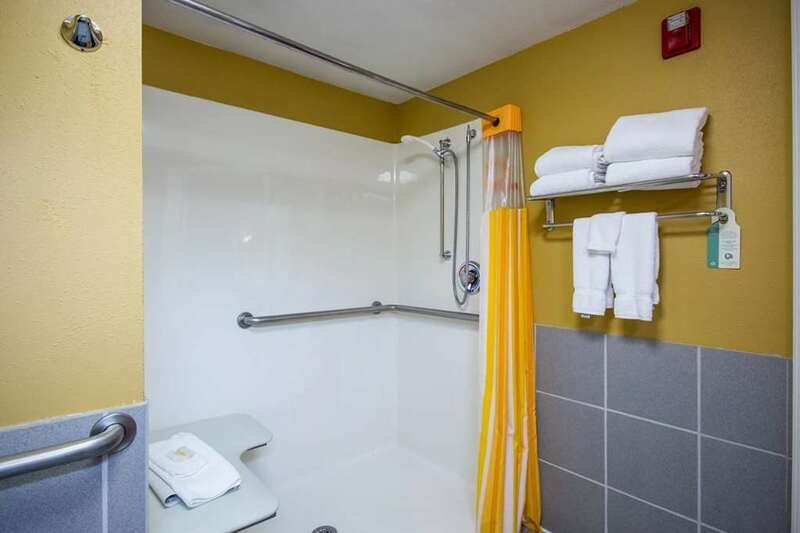 Get more value for your hard-earned money at the non-smoking Quality Inn Branson - Hwy 76 Central in Branson, MO near the Grand Jubilee on historic 76 Country Boulevard, also known as the Branson Strip. We sell discount show and attraction tickets at the front desk to shows like the Dixie Stampede, Silver Dollar City and Legends in Concert. We are two blocks from five restaurants. Shop at Appletree Mall, Branson Landing Shopping Mall and Tanger Outlet Mall. Value-packed amenities include free hot breakfast, free WiFi, an exercise room, guest laundry services, a business center and indoor heated pool. Earn rewards with every stay with our Choice Privileges Rewards program.